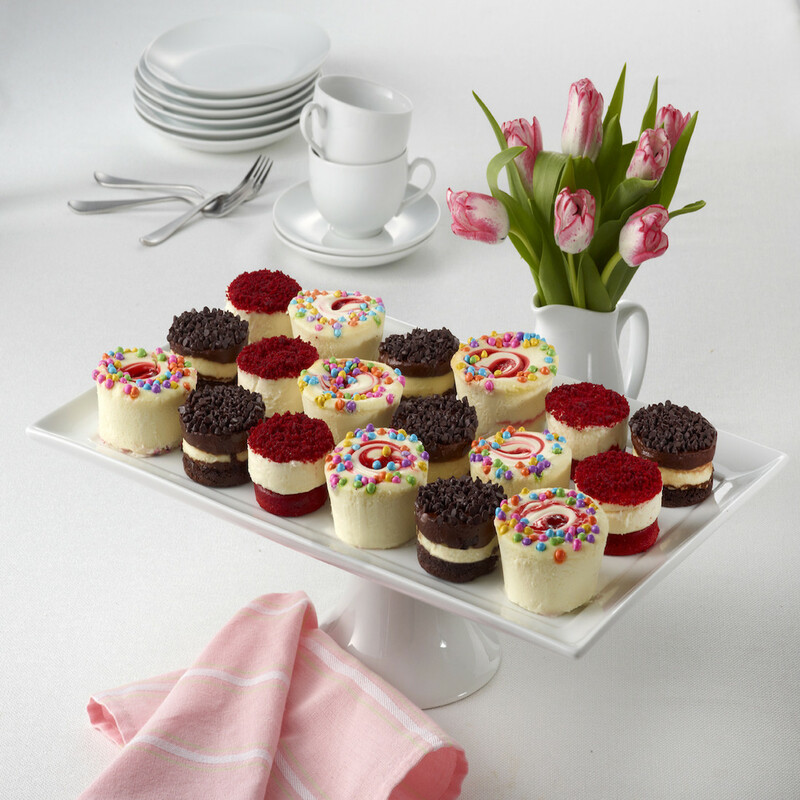 Celebrate Spring with this bountiful sampler featuring 18 Little Fella Cheesecakes in our most popular flavors . 6 of each flavor including strawberry swirl Spring Cheesecakes with pastel colored chips, 6 Devils Food Cheesecakes, and 6 Red Velvet Cheesecakes. Each cake is 4oz. Perfect for sharing. *Remove from package frozen. Defrosts in one hour.